Having read Howey's Wool, Shift, and Dust, I know I like his writing, both his style and his scenarios. So when Beacon 23 popped up in my Amazon recommended list, I was immediate intrigued. Howey writes in small books, mostly long chapters or such, and serializes them, releasing them weekly to biweekly-ish (as in "fortnightly" and not the way you're thinking of you're thinking "semiweekly"). Sometimes the serialized books are bundled into a single volume, sometimes not. 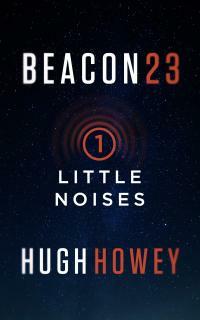 Beacon 23, relatively new, is available in 5 parts. It is a quick read. The basic premise is that there are gravity wave beacons that send out location information about hazards in space, the way that lighthouses would send out local information about land. The narrator lives solo on/in one such beacon. Over the course of the five parts, we get his history, and we get the saga of his life. We read about his struggles, against his past, against his inner demons, against the loneliness, and his fate. It's a great read. Highly recommended.